Sorry for looking so cold but what can I say. 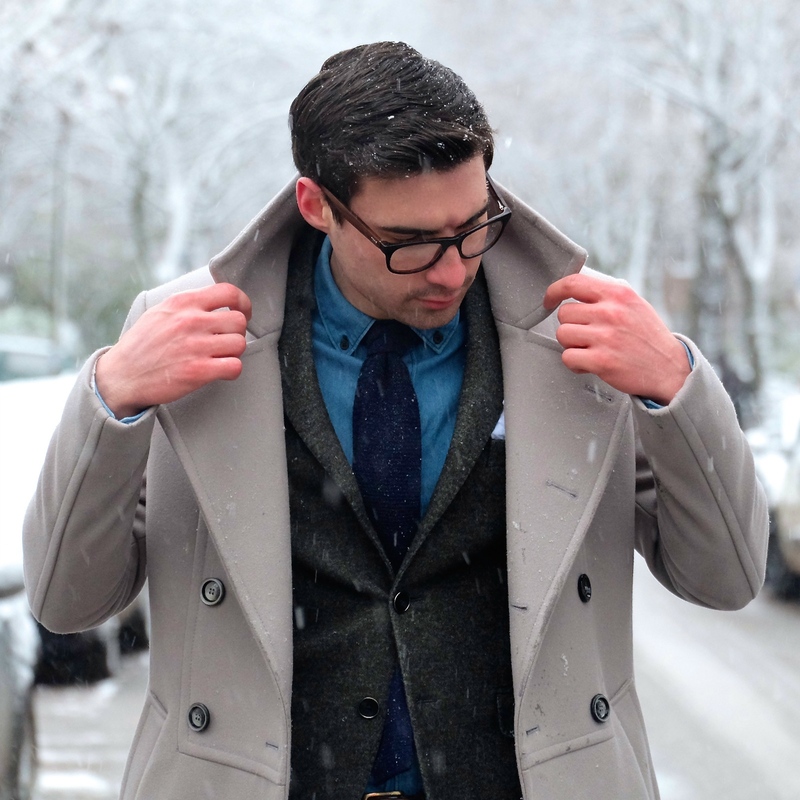 An unexpected November snow shower came yesterday and I found myself pulling out one of the heaviest overcoats I own. It's actually much thicker than it looks and when buttoned kept my body incredibly warm. The problem was that I wasn’t wearing gloves or a hat. Just take a look at my bright red hands and ears. (Note to self: wear gloves). Anyways I would of rather have saved this outfit for the colder winter months but with this weather I didn’t really have a choice. I’m not that big into parkas so coats like this are what get my through the winter. 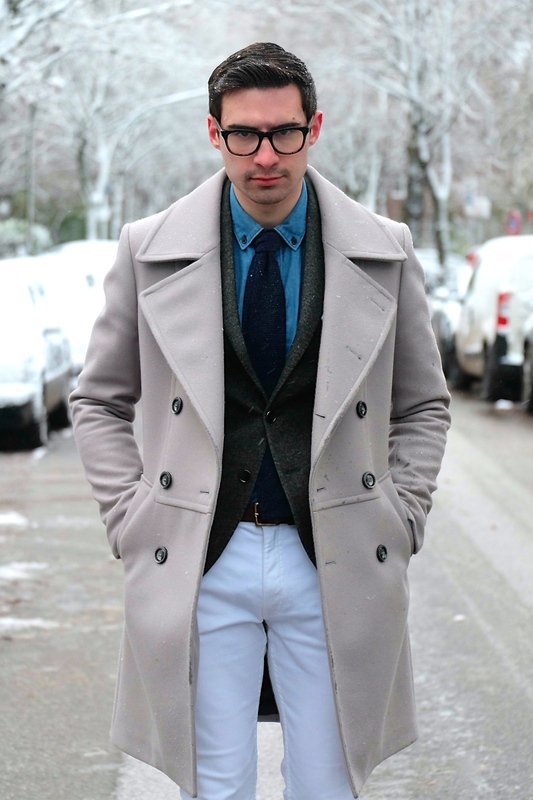 I decided to go with white denim because I absolutely love the way white clothing looks against snow. 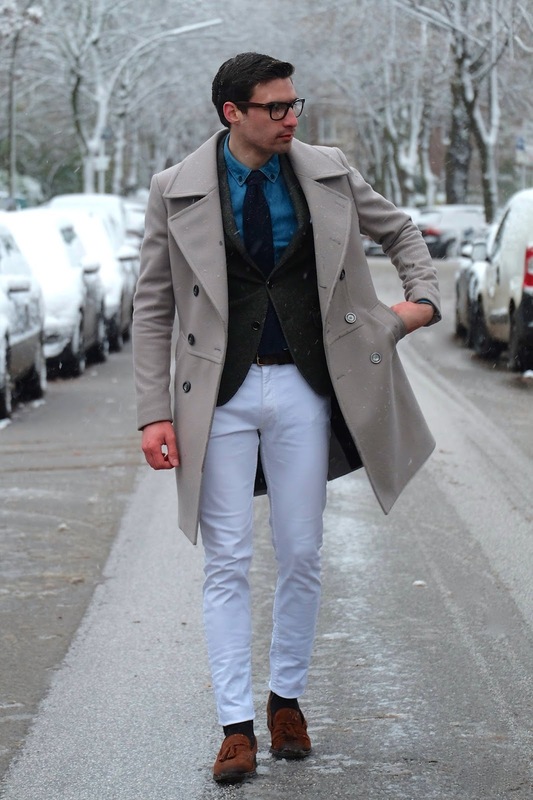 You definitely need to be careful because white denim in slush is not a great idea but it’s worth the risk for a clean and crisp look. 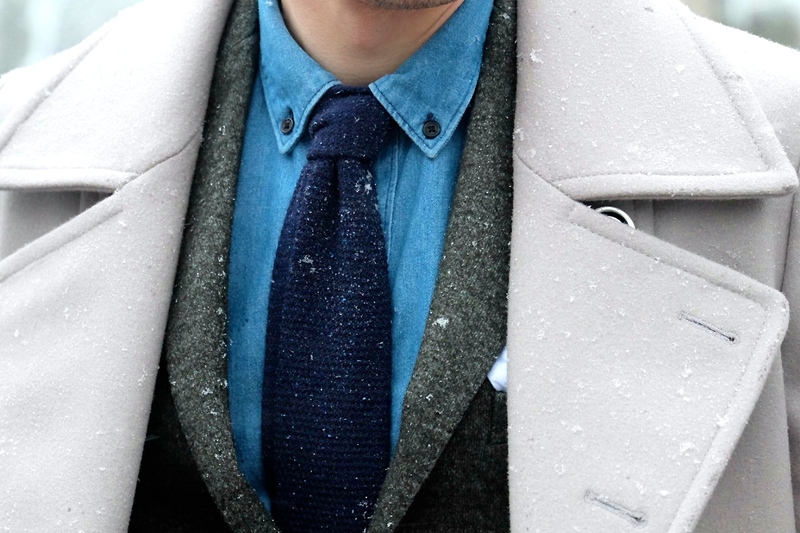 I also wore a chunky knit tie and heavy wool blazer for added texture. I sure hope this is the last snowy outfit for some time. 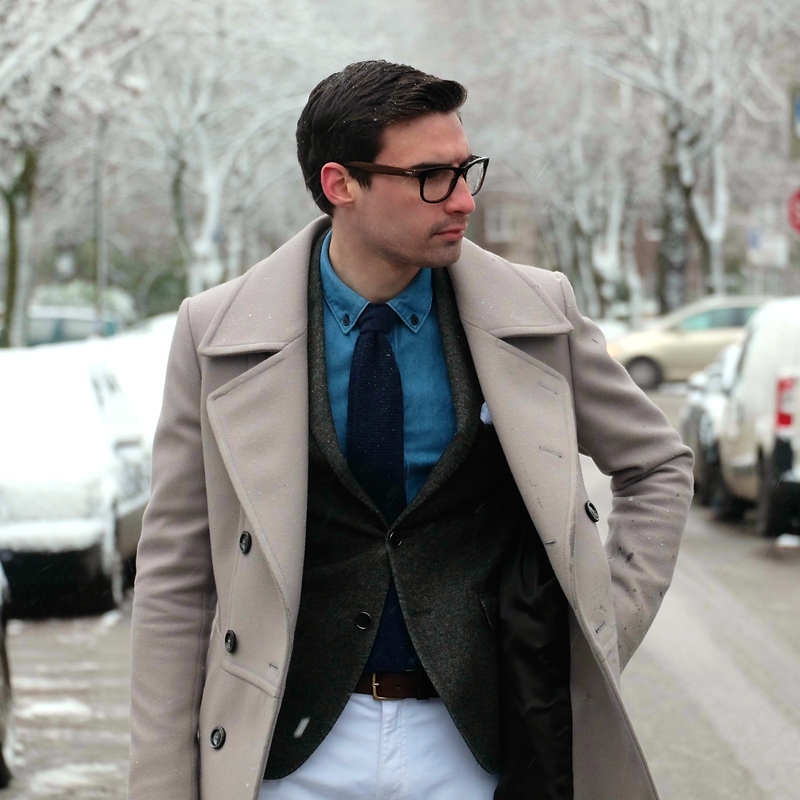 You can shop some of my favorite outerwear pieces below. Have a great week! 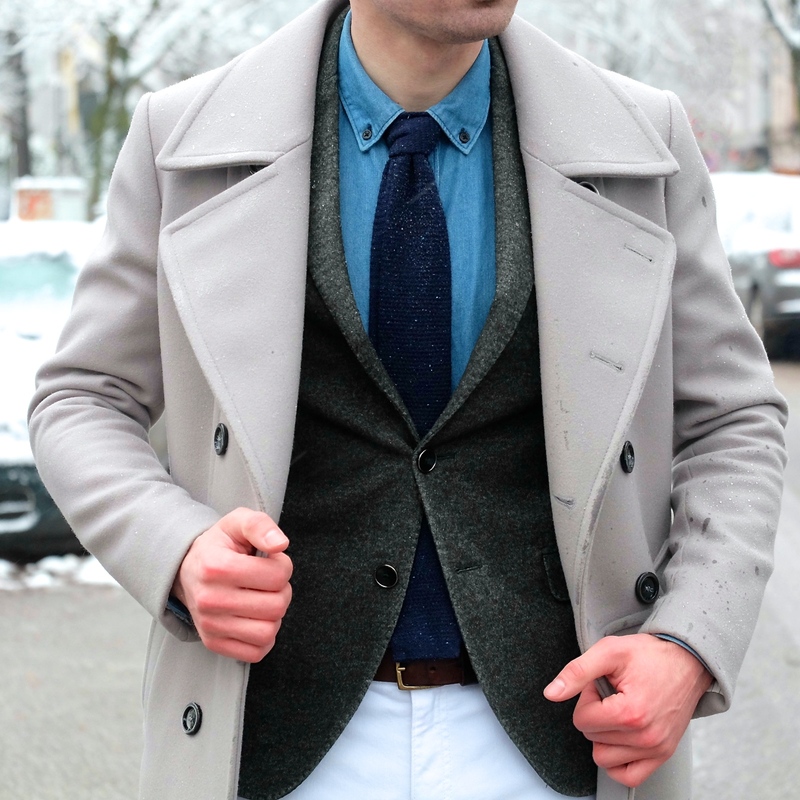 The coat looks great with the white jeans! 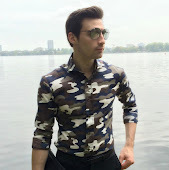 Fabulous style! You look very dapper! 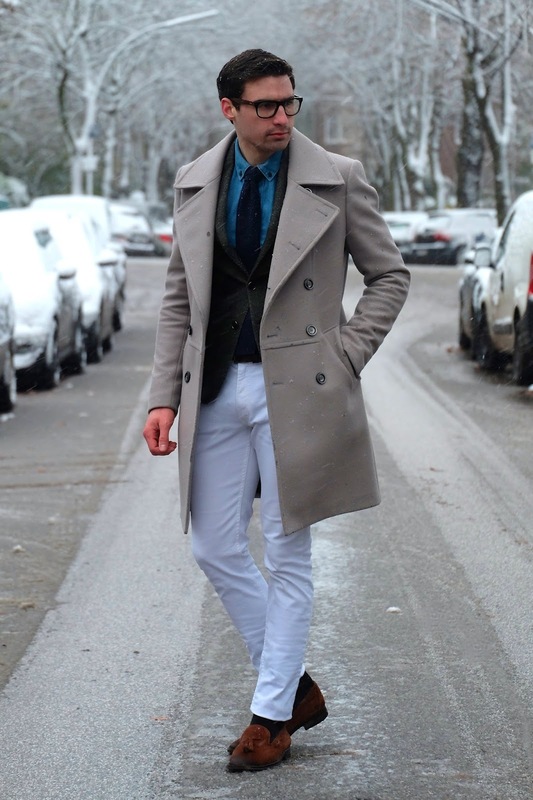 Love the coat.. hope it kept you warm in the snow.